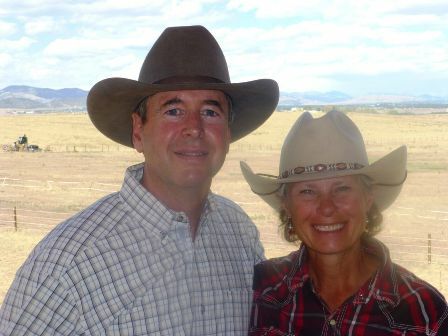 Happy Dog Ranch Foundation owners, John and Bernadette Spillane, met in Omaha, while both attending Creighton University. They married during their senior year, graduated, had their first son, Jonathan, and moved to Austin, Texas where John was starting Law School at UT. Following Law School they came to Colorado, where Bernadette’s family lived, and there they had their second son, Dominic. Bernadette ran a martial arts school for 18 years in southwest Denver, while John pursued law in many forms, more recently concentrating on land development. In 2004 John gave Bernadette a horse for their 26th Anniversary, and that was the beginning of Happy Dog Ranch. Jonathan Spillane, John and Bernadette's son, helps coordinate our visiting school groups and runs our outreach programming. Five days a week you can find Jonathan leading a herd of two-foots and four-foots all over HDR. On his off time, he and his wife enjoy camping and running marathons. 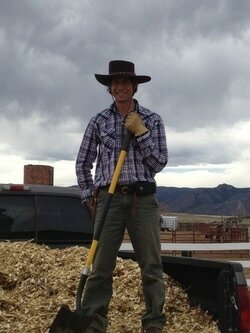 Bryan Thomas, who was originally one of our volunteers, now spends his holidays and summers as our weekday caretaker, helping with feeding and general ranch duties. He goes to college in Hawaii and is wrapping up a degree in Marine Biology. Louise Oliver is HDR's weekend barn manager. She previously volunteered in 2012 and has been waiting for the right opportunity to return ever since then. Louise has worked for almost a decade with trainers Mark Rashid and Crissi McDonald to further her skills within the various aspects of horsemanship she subscribes to. She has been professionally employed in the worlds of both horses and hunting dogs since moving to the United States from Wales in 1999. Her passion for horses stemmed from the first (on lead rein) riding lesson taken with her twin sister, Catherine Latham, at the age of six. Both were instantly hooked on horses and both now work within the same spheres of considerate horsemanship on two separate continents. Louise credits Mark Rashid with first opening the door to the art of Aikido and how it pertains to everything in life. She has brought this concept of blending energy to all of her work and has been at various times a Guest Ranch manager, bird dog trainer, professional scout and miniature horse wrangler! Through her exposure to the various modalities of healing work offered to horses (and people) here at HDR, Louise developed a strong interest in Craniosacral work and has gone on to study Biodynamic Craniosacral work, with teachers Ryan Hallford and Shea Stewart, for both humans and horses. Louise is a poet and writer and is involved with the fledgling "Writers inspired by Nature" group forming at the ranch. She has two of her own bird dogs, a German Shorthaired Pointer named Grace and her half sister, Eeny, along with a foster Pointer named Lola who is here to benefit from the Happy Dog vibe. Her two horses are current residents in Dinah's herd. Peantu is a 20 or so year old mustang who has had quite the colorful life and who now appreciates most forms of bodywork and human love. 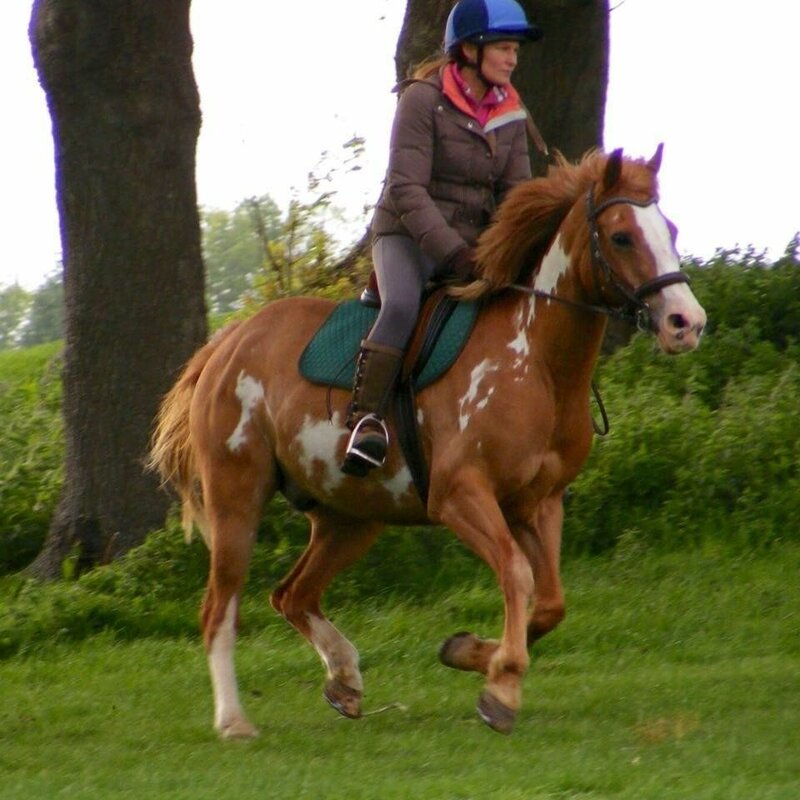 Pete is a 12 year old Paint who, through no fault of his own, remains an unstarted project horse of great potential. You can find Louise in the barn Thursday-Sunday, feeding the horses and caring for the little critters. She's currently working one restart project horse for Happy Dog Ranch, the very handsome Windtalker. Apart from the horses she thoroughly approves of the cuteness that is Merida the sheep and the most adorable vulture chicken - Robber Baron. Her arch nemesis is McTavish the Alpaca, although secretly she hopes to win his heart.